A new book of lists is currently underway in Bozeman, Montana. 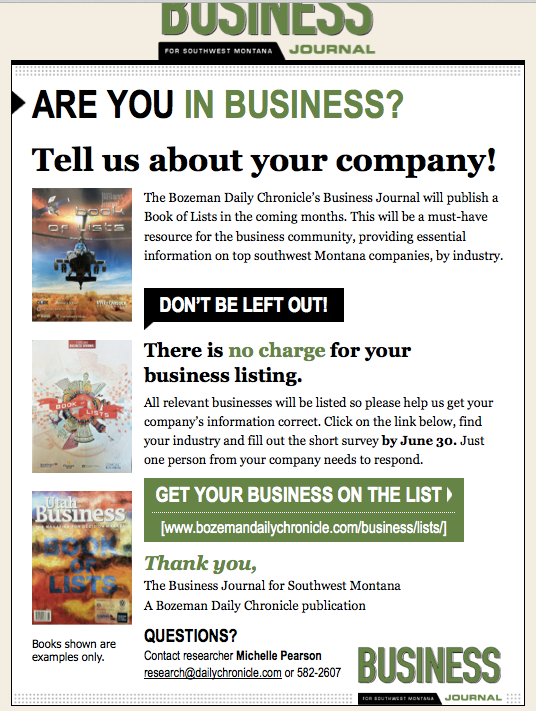 The Bozeman Daily Chronicle, a local daily newspaper, has spun off a business journal: Bozeman Business. Bozeman Business is actively surveying for participation for the first Book of Lists that has ever existed in the market. It's an exciting time for Bozeman, in that local businesses will be categorized and ranked by objective criteria for the first time. 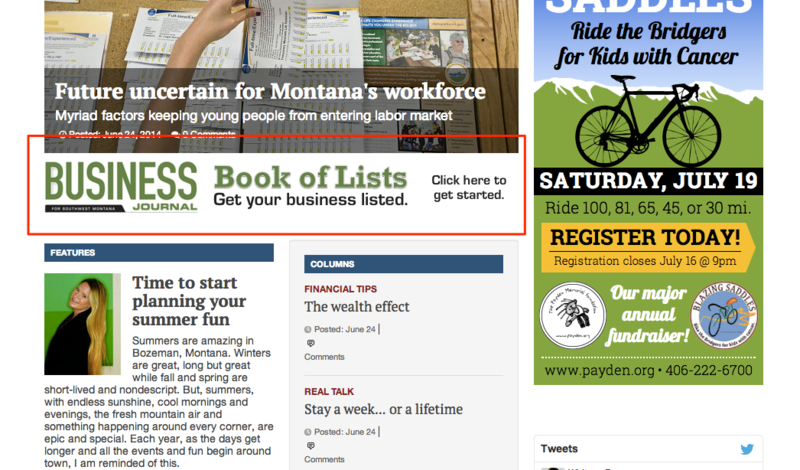 Bozeman is creating the Book of Lists in partnership with BOL Research company DataJoe LLC.